Since gaining independence in 1956, Sudan has endured a troubled history, including the longest civil war in African history in Southern Sudan and more recent conflicts such as the humanitarian crisis in Darfur. This book explores this history of ensuing conflict, examining why Sudan failed to sustain a successful modern post-colonial state. 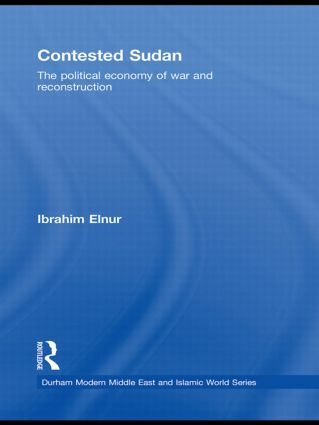 The book goes on to consider in detail the various attempts to end Sudan’s conflicts and initiate political and economic reconstruction, including the failure which followed the Addis Ababa agreement of 1982 and the more recent efforts following the Nivasha agreement of 2005 which ended the civil war in the south. It critically examines how reconstruction has been envisioned and the role of the various major players in the process: including donors, NGOs, ex-combatants and the central state authority. It argues that reconstruction can only be successful if it takes into account the fundamental and irreversible transformations of society engendered by war and conflict, which in the case of Sudan includes the massive rural to urban population flows experienced during the years of warfare. It compares possible future scenarios for Sudan, and considers how the obstacles to successful post-conflict reconstruction might best be overcome. Overall, this book will not only be of interest to scholars of Sudan and regional specialists, but to all social scientists interested in the dynamics of post-conflict reconstruction and state-building.